In 1938 Alexander Lance Wykes a local Leicestershire businessman, flying enthusiast and member of the County Flying Group, travelled to North America and negotiated a licence agreement to build an American designed light aeroplane in England. A. L. Wykes was the Managing Director of Crowthers limited a Thurmaston Company who manufactured textile machinery in the Britannia works, Melton Road. The licence obtained was for the manufacture of the Taylorcraft Model B Aeroplane. On the 21st November 1938 Taylorcraft Aeroplanes (England) Limited was registered as a Private company with both production and selling rights for the British Empire and Europe. Construction commenced in rented premises behind Crowthers Britannia Works during February 1939. The first aircraft was completed by 24th April 1939 and registered G-AFNW. 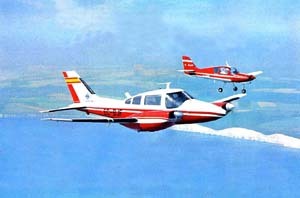 The finalised Thurmaston aircraft differed from its American counterpart, as it had to be strengthened to comply with British Civil Airworthiness requirements. It was therefore designated a Taylorcraft “Plus C” model. Once completed the first aircraft was taken by road to Sir Lindsay Everard’s aerodrome at Ratcliffe on the Wreake from where it made its first flight on 3rd May 1939. Production of the type then followed with the first aircraft G-AFNW being subsequently delivered to the “County Flying Group” at Rearsby aerodrome. The group had occupied this airfield since leaving its flying field in Melton Mowbray during the late thirties. With the outbreak of the Second World War in September 1939 all civilian aircraft production and private flying ceased. Taylorcraft Aeroplane (England) Limited with its aircraft production halted, undertook sub-contact for major aircraft companies. By 1940 the company had become a Ministry of Aircraft Production repair Centre. To this effect further premises were acquired for component manufacture and repair in Syston. This complimented the repair and rebuild of the D H Tiger Moth aircraft at the Britannia works for the Royal Air Force. Towards the end of 1940 the company began similar repair and rebuild work on Hawker Hurricane fighter aircraft. There were later followed by Hawker Typhoon fighter. To accommodate this extra demand additional premises were sought. Ratcliffe Aerodrome was by this time in use by the Auxiliary Air Transport as an Aircraft Ferry Station. The County Flying Group Airfield on Gaddesby lane, Rearsby was taken over. New hangers were erected together with airfields extensions. By the wars end the company had requisitioned ten sites in Thurmaston, Syston, Mountsorrel and Rearsby, in support of its wartime activities. Whilst expansion in support of aircraft repairs was taking place, the Model C was being developed and modified for military service and evaluation for an Air Observation post role suitable for supporting the Royal Artillery on the battlefront. A developed design was subsequently selected and a production order for 100 aircraft designated the Taylorcraft-Auster Mk 1 was placed during 1942. Following the first volume order, the company progressively developed their initial military design. Three further versions went into wartime production. In total over 1630 aircraft were produced for wartime service with Air Observation Squadrons. In addition to the company production of its own designs, it repaired and rebuilt nearly 1,300 aircraft for return to service in support of the war effort. During the later stage of the Second World War Taylorcraft Aeroplanes (England) Limited recognised the requirement for an economical post war light aeroplane suitable for private use. By 1945 the last of the wartime designs, a Taylorcraft- Auster Mk V was modified to take a lower powered engine. Following development of this aircraft, the resultant designs was designated initially the Taylorcraft-Auster J/1 Autocrat. Following a company name change to Auster Aircraft Limited in March 1946, Taylorcraft was deleted from the title thus severing the early American licence connections. The Auster J/1 Autocrat become the first post war civil light aeroplane to go into production. Over 400 were built and sold for just over £1,000 each. This aircraft was the forerunner of prolific and diverse marques of light aircraft that were sold worldwide to both military and civilian customers. In various guises and configurations Auster Aircraft Limited of Rearsby designed and produced numerous variants for training, touring, observations, artillery spotting, crop spraying, aerial advertising, air racing together with float and ski conversions. In total 3,868 aircraft were produced these were the mainstay of British light aircraft manufacture for the period of over 21 years. 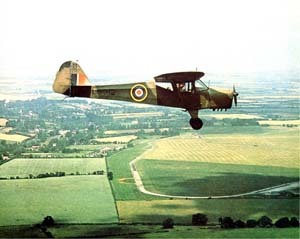 In 1960 Auster Aircraft Limited were taken over and absorbed into British Executive and General Aviation Ltd (BEAGLE). Auster design and development continued within the new corporate framework, until 1968 when all Auster design and development ceased. Thus ended the Auster dynasty and reputation that had made Auster and Rearsby synonymous worldwide with light aircraft. The Company produced a wide range of Aircraft over its lifetime. The aircraft types table is intended to give general guidance as to the details of each type and its chronology in the Companies lifetime. The table is as complete as possible, but no doubt you will know of changes and additions. Please let us know of any corrections or additions which may be appropriate.